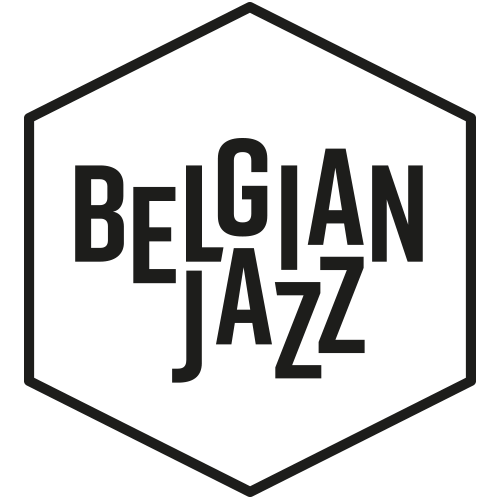 Flanders Arts Institute asked different jazz professionals about their ideas on how to listen to jazz. How should you listen to jazz or watch a live performance? What do you look for in a jazz concert? Guy Peters is a contributor to the magazines enola and Gonzo (circus), he works as a freelance for Cobra, Klara and Knack, among others: "I try, as far as possible, to listen with an open mind. And I often rely on one of the US author John Updike’s principles of constructive criticism: ‘Try to understand what the author wished to do, and do not blame him for not achieving what he did not attempt.’ Listening to or watching jazz with the wrong expectations is something I want to avoid at all costs. Instead, by listening and watching carefully, I try to sense what the artist is trying to achieve, how he sets out to reach his goal, and whether he/she manages to pull it off. I try to repress any specific expectations I might have, but love to be surprised. That might take the form of new sounds, a strong personality, a different repertoire, a change of course, unexpected revelations, moments when the music transcends itself, and suchlike." Lies Steppe is the radio presenter of Late Night Jazz, Take 7 and Round Midnight on Klara: "What I enjoy at a good jazz concert is the freedom that resonates in every note. I love it when a concert is exciting, when the musicians have the courage to dive into the music together, when you sense their mutual trust and willingness to take risks and, in so doing, go beyond themselves. There isn’t a formula for good jazz, partly because so much is down to the spontaneity of the moment. When the music succeeds, something magical happens. A jazz band in concert can sound very different to that same band on CD, which means you’re constantly making new discoveries. I’m convinced that everyone can experience this energy and magic, irrespective of whether they’re a seasoned and knowledgeable listener or someone who, just out of curiosity, is dipping a toe in the water. For me, the overall energy is more persuasive than, say, a player’s dexterity or their virtuosity on an instrument. That’s the starting point. The more an instrument becomes an extension of the musician’s body, the more spontaneously and intuitively they can convey their message. But I always find that expressiveness matters the most: the emotion, the generosity towards the other musicians, and the willingness to serve the composition." Jeroen Revalk, music editor for Radio 1 and also an editor and researcher for Canvas and canvas.be: "I like to see myself as a kind of musical explorer. This means that I’m open to all kinds of music and curious about everything, regardless of style, genre or origin. But that doesn’t mean to say that I’m as equally passionate about all kinds of music. Although I admire countless styles, my heart lies mainly with jazz and related genres. Another love is world music, whatever that may mean exactly, and I look at jazz through the same prism. Hence the idea of listening as a kind of exploratory journey. The discoveries are very personal, and might range from an unknown contemporary artist that I’ve discovered online to an established name from the past who, for one reason or another, I’m only just learning about. Jazz is sometimes defined as ‘music of the moment’, and that’s what appeals to me: no two moments are ever the same. A jazz band in concert can sound very different to that same band on CD, which means you’re constantly making new discoveries. And discovering often leads to surprises, some of which might be pleasant and others less interesting. You draw your conclusions from this later on, but you don’t shut yourself off from the unknown in advance. Whoever takes this approach to music is ready to listen to jazz in all its myriad forms. Because jazz is also ‘the sound of surprise’." What tips can you give to a less experienced listener? Guy Peters: "Try to put your expectations aside. Don’t think: ‘this is too difficult’ or ‘this isn’t for me’. You don’t have to be a musician to have an opinion. Whoever has ears can listen, and all interpretations are valid. Try to explore the border between composition and improvisation; it’s often very defined, but can also be rather vague. If necessary, make connections with other art forms (film, photography, painting) and use these links to shape your impressions. Try to gain an insight into the group dynamic: is there a leader, are the musical voices equivalent, or do you sense a hierarchy? Pay attention to expressions: how do the musicians react to one another, how do they make signs, are they appreciative?" Georges Tonla Briquet writes about jazz and related genres for various media outlets: "Jazz is jazz because it remains unpredictable, especially live. Never going to small club performances is like glancing at cartoons without reading the speech bubbles: you miss the whole underlying story. It’s on stage that an unexpected first spark will ignite ideas for a new composition, a new album, a new group. As a spectator, you too can feel that magic. When you later listen to the end result on vinyl, CD or via a download, you can better understand what it’s all about. Hang around a bit after a concert and you’ll learn a lot more. Because (jazz) musicians feed on life. While that life often congregates around the bar, most musicians are curious about other cultural sources of inspiration such as literature, film, theatre and dance. They’re eager to share all these experiences in their music or during a spontaneous chat. Every concert has the potential to provide an enriching life experience." How does listening to jazz differ from listening to, say, pop or rock? Guy Peters: "Jazz is ‘the sound of surprise’. Whether we’re talking about tightly rendered compositions or free jazz, improvisation and the musician’s personality ensures (ideally) that there is always something new to be heard. This is true of music that throws (almost) all points of contact overboard, and also of the variant that remains faithful to the composition and is refreshed from within. The wonderful thing about jazz is looking for those moments when artistic voices determine the course, and when freedom comes into its own and is interpreted. Anyone can do this, even though repeated listening will teach you that there are gradations. It is often the case that nothing is as it seems. Just as an impression of complete freedom can, in fact, be an act of uninspired regurgitation, so too might a small musical intervention shed an entirely new light on a concert or performer. That freedom, as much for performing artist as for the listener, is rarely as expansive as it is in jazz (in all its many forms)."